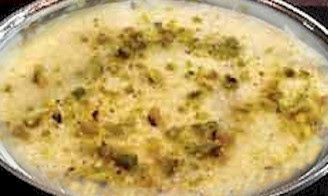 Shrikhand is a very popular sweet made of hung yogurt and sugar. I have seen this very frequently in Marathi menus.we can eatshrikhand with puris&shappati as aside dish. It is one of my favorite recepie I learnt it from my maharashrtian friends. Tie curd in a clean muslin cloth overnight. (6-7 hours). Take into a bowl, add sugar and mix. Keep aside for 25-30 minutes to allow sugar to dissolve. Rub saffron into 1 tbsp. milk till well broken and dissolved. Keep aside. Beat well till sugar has fully dissolved into curd. Pass through a big holed strong strainer, pressing with hand . Mix in cardamom powder and dissolved saffron and half nuts. Empty into a glass serving bowl, top with remaining nut crush. 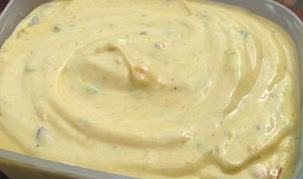 Variations: To make fruit flavoured shrikhand eg. mango, add pulp at the stage of adding cardamom and saffron. Whip together the sugar and yoghurt till smooth and creamy. Strain the mixture through a muslin cloth to remove all liquid. Strain the mango pulp in a similar way to remove most of the liquid. Mix in the strained mango pulp and the cardamom powder. Pour into a large container and chill in the refridgerator for about 3-4 hrs. Serve in individual dessert bowls topped with pistachiosand dry fruits. 1 cups mixture ofmango, orange segments, grapes and bananas. Hang curds in a muslin cloth to remove water. Keep for at least four hours to drain out completely. Take out thick curd in a thali, mix powdered sugar. Sieve the mixture for even mixing. Mix cardamom powder and fruit pieces. Keep in the refrigerator till serving time. It should not become sour.